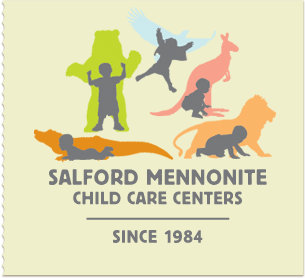 Salford Mennonite Child Care Centers » Screen Time in the Early Years » Imagine. Play. Learn. Since 1984. A landmark study at the University of Washington showed that for every hour per day that preschool boys spent watching violent TV shows, they had three times the risk of developing behavioral problems at age 7. This was true even when they were watching cartoons on commercial channels, which often have more violence than adult shows. For each hour of TV young kids watch, they have a 10 percent higher chance of attention problems at age 7, including restlessness, trouble concentrating, and impulsive behavior. Visual images may over stimulate and rewire preschoolers’ developing brains. Learning to read and write takes time and patience. Kids who are used to the fast pace and instant gratification of screen media may easily get bored. More than two hours daily of screen time also increases the odds that kids will be overweight. They are exposed to a barrage of ads for high-caloric, sugary foods — and when they are sitting in front of a screen, they are not running, jumping, and moving around.